Isn't this little 'teapot' tea infuser favor lovely? Not to mention practical and well-priced! Perfect if you are having a tea wedding theme. Our infuser favor is made of stainless-steel and features a chain-pull lid and scalloped tray. The infuser and tray measure 1 1/4"h and 2 1/4" in diameter. Another lovely feature of this popular tea wedding shower favor is its attractive packaging. 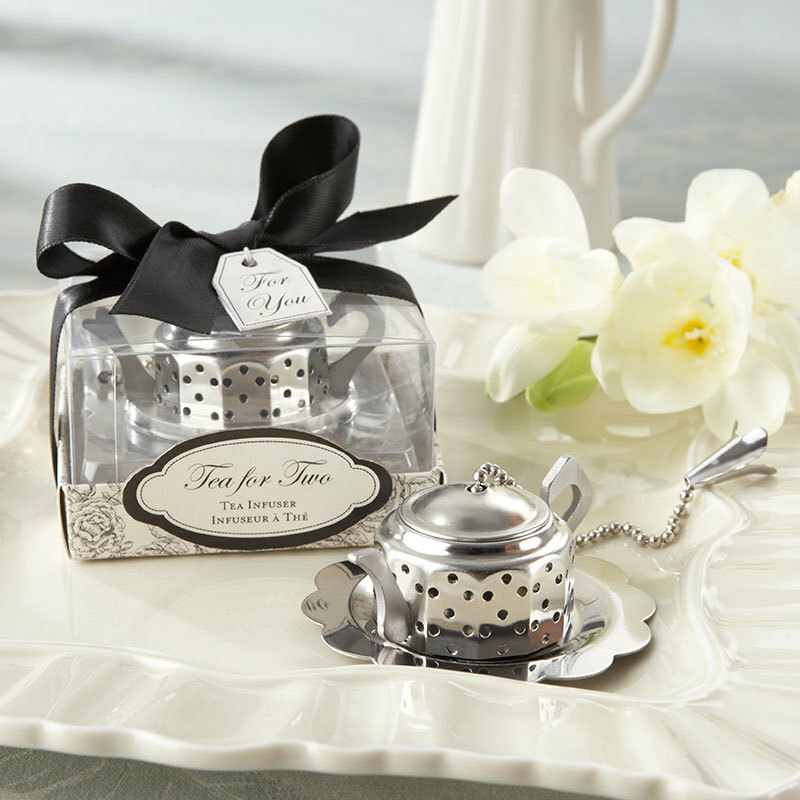 As shown it comes in a clear, showcase gift box with a black and white, damask-motif base, and a adorable appliqué that says "Tea for Two Tea Infuser". It is finished with a black-satin ribbon and bow and a tea bag-shaped "For You" tag. The Gift box dimensions are 1 1/2"h x 2 1/2" square. Please allow 7 business days to fulfill your order olive oil favor order; add ship time from GA.